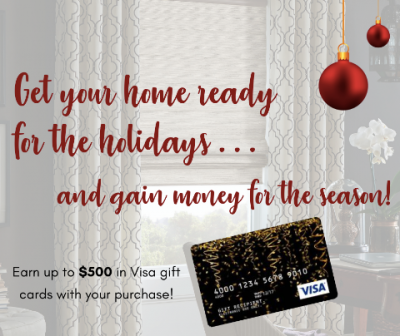 This month book an appointment with Budget Blinds of Comox Valley, Campbell River and the North Island by Nov. 21 and get some help for the holidays in the form of a Visa gift card of up to $500 with your purchase. Enjoy a fresh new look for the holidays with updated window coverings and earn $50 back for every $1,000 you spend. Budget Blinds offers free in-home consultations to help you get the best products for your home. Enjoy design help, accurate measuring and professional installation to create your fresh new look in time for the holidays. Whether it’s new blinds, sheers, shutters or curtains you’re looking for, Budget Blinds of the Comox Valley offers the best selection and service, at the best price. Serving North Island communities including the Comox Valley, Campbell River, and beyond, contact them today to learn more. 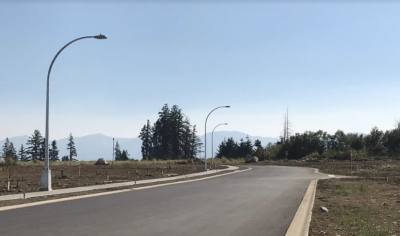 The Gales in Ladysmith features beautiful views of surrounding nature and oceans, and the builders and developers are working to protect this green space by building new homes to the BuiltGreen Platinum level. This is the highest level of BuiltGreen certification, which provides a number of benefits to home owners. The Built Green website tells us that: "As the homeowner of a house certified through Built Green Canada, you will enjoy a healthier, more durable home with a lower environmental impact. These homes are affordable with a reduction in monthly operating costs, automatic rebate eligibility, improved resale value, and more." The Gales is a well-established community on Ladysmith on Vancouver Island. Award-winning GNB Builders continues to add luxury oceanview patio homes and ranchers to the development. There are currently two 1,820 sq ft patio homes available for sale. 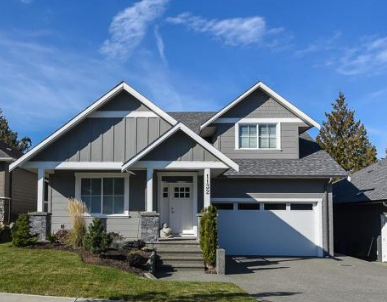 These homes are built as a side-by-side duplex and are listed at $599,900. An additional two new rancher-style homes are set to begin construction soon. These new 1,820 sq ft homes will start at $614,900. The developers of Parkside Lifestyle Townhomes are happy to announce that their show home is now open from 2pm to 4pm every Saturday and Sunday. 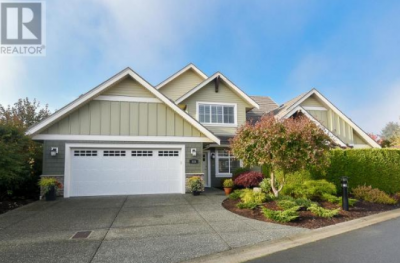 Stop by 2109 13th Street in Courtenay and view these beautiful townhomes for sale in this desirable Comox Valley community. Construction is well underway for Phase 3 of Parkside Lifestyle Homes in Courtenay, BC. This phase will be ready for occupancy in late spring of 2019. This phase includes eight units, comprising of a four-plex and two duplexes. The two-storey homes are a spacious 1,220 square feet in size. Each of the new townhomes includes three bedrooms, 2.5 bathrooms, an open-concept living room and kitchen, a gas furnace, gas BBQ hookup, six appliances, a window covering package, a garage, two outdoor patios, oversized crawl spaces, landscaping and even guest parking! Enjoy sitting on your front porch and talking to the neighbours or enjoy barbecuing and socializing in your own private backyard. This project is pet-friendly, allowing one pet per household. Bonus Offer: Make an offer on one of these townhomes prior to December 31, 2018 and receive a $10,000 cash bonus! Prices of these townhomes start at $379,900. These units can be purchased as a primary residence or as a rental investment. 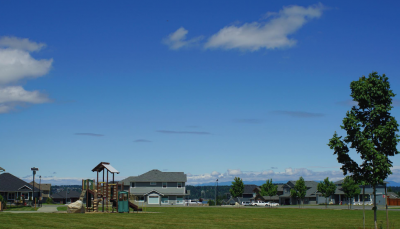 Parkside Lifestyle Homes in the Comox Valley is situated adjacent to a park and is within walking distance of the vibrant downtown core of Courtenay, elementary and middle schools, and other amenities. This development has been built to the high standard of Built Green Silver Certification by Nicon Developments Ltd, an award-winning builder of new homes on Vancouver Island for 40 years. 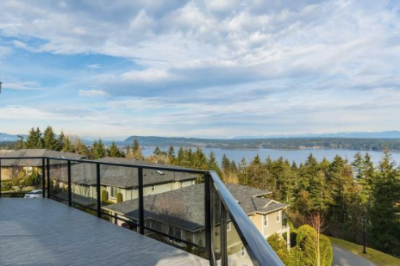 According to the Vancouver Island Real Estate Board’s (VIREB) October Statistics, sales of single-family homes from Duncan to Port Hardy were down 16 per cent from October 2017 and up 11 per cent from September 2018. Multiple offers have slowed, and buyers are taking more of a wait-and-see approach. Decreased demand and stabilizing inventory are helping VIREB’s long-term sellers’ market evolve into one that is more balanced. Inventory of single-family homes in October was up slightly from one year ago (1,175 compared to 1,138) but down eight per cent from September. There were 322 active listings of apartments in October, up seven per cent from 2017 while the supply of townhouses rose by 28 per cent year over year. This year’s housing market is behaving as expected, moderating after the record-setting pace set in 2016 and 2017.